Discover Dogs has been taking place this weekend at the ExCel Centre in London. 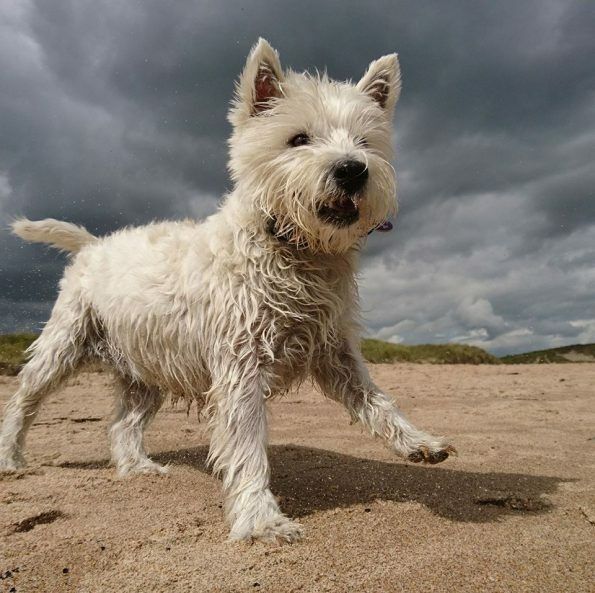 We have taken a break from attending with the stand this year due to pressure of rehoming work, and will miss meeting westie lovers and chatting to those wanting to adopt a dog. I have to admit that we’ll miss the retail therapy too, with so many new and exciting things to spend our money on. We are so proud of Alba (ex WRH) who will be representing us in the Kennel Club Breed Rescue Calendar 2018, for the month of April. The photo was taken by her proud ‘dad’ Mark and the calendar will be launched at the show, costing just £5 with all profits going to benefit breed rescues. We were lucky last year too, when Missy (seen with her doting family), also from WRH featured for January. 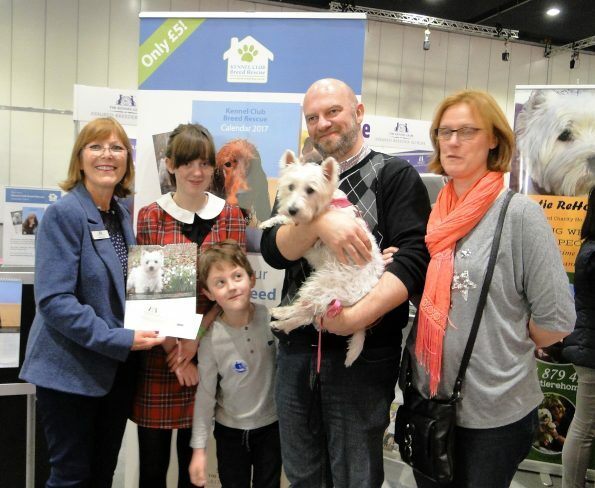 If you managed to get to the show we hope that you really enjoyed it, and managed to see lots of westies on the Southern West Highland White Terrier Club stand.